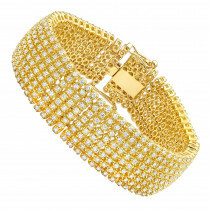 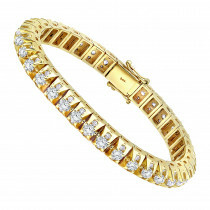 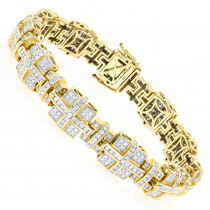 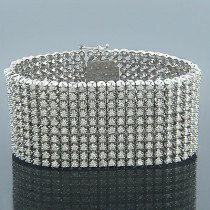 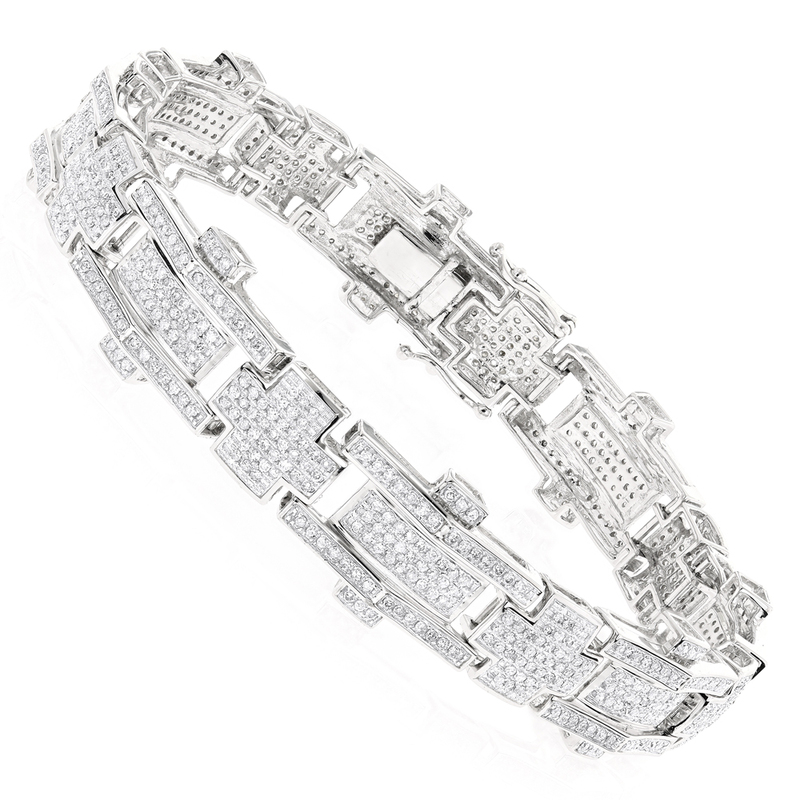 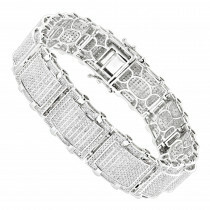 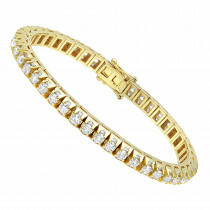 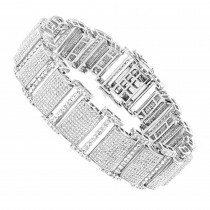 This 10K Gold Mens Diamond Bracelet weighs approximately 28 grams and showcases 3.58 carats of genuine diamonds. 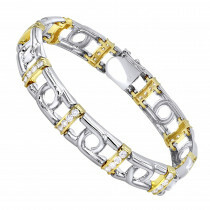 Featuring a unique design and a luxurious rhodium plating for extra shine, this men's diamond bracelet is available in 10K white, yellow and rose gold. 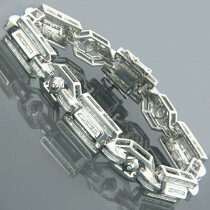 I bought this bracelet as a Christmas gift for my boyfriend. 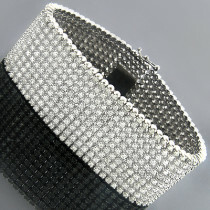 It has just arrived and I am totally excited with it. 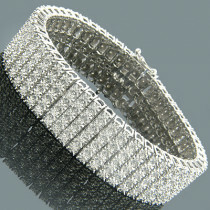 Actually it looks much more expensive in person than on the pictures. 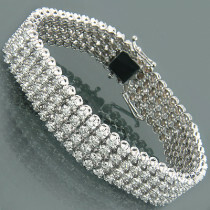 I can't wait to give this gift to him.